The Polish Patent Office dismissed the request to invalidate the right of protection for the word trade mark PHYTOLYZIN R-195394. The request was filed by Dr. med. Matthias Rath, the owner of the earlier International trade mark registration LyCin IR-813677. The Voivodeship Administrative Court in its judgment of 15 November 2012 case file VI SA/Wa 790/12 dismissed a complaint filed against this decision, and the Supreme Administrative Court in its judgment of 3 July 2014 case file II GSK 492/13 dismissed a cassation complaint filed by Dr. med. Matthias Rath. On November 2014, Mr Rath filed before the Supreme Administrative Court a request for the annulment of previous proceedings, and a motion to reopen the proceedings and to issue an award of costs in accordance with prescribed procedure and also submitted as a supplement to the cassation complaint the decision of the Office for Harmonisation in the Internal Market of March 2013 on invalidity of the trade mark PHYTOLIZIN along with its certified translation into Polish. Mr Rath argued that the proceeding should be deemed by the Court as invalid because as the representative of the trademark owner appeared an attorney who submitted at the hearing a substitution of PoA as signed of July 2014. However, the power of attorney was invalid, because it was issued on behalf of another company, which was not a party to the proceedings. The Supreme Administrative Court in its judgment of 9 January 2015 case file II GSK 2803/14 rejected the request and held that such motion is allowed if a party does not have the capacity and standing to bring proceedings or was not properly represented or if as a result of violations of the law was deprived of possible actions. However, the reopening cannot be requested if, before the judgment becomes final the inability to act ceased, the lack of proper representation was raised by way of objection, or a party has confirmed all procedural actions. These pleas and arguments for reopening, however, did not apply to Mr Rath. The argument for reopening of the proceedings was based on lack of adequate representation refered to the representation of the trade mark owner, not Mr Rath, and such a request may only be raised by a party that was not properly represented. Categories: Polish Act on Proceedings Before Administrative Courts | Polish courts | Polish institutions | Polish law | Polish Patent Office | Polish Supreme Administrative Court | similarity of signs | trade mark invalidation | trademark law | Voivodeship Administrative Court. Transformation and economic changes in Poland after 1990 left a lot of problems in the case of trademarks that belong to the state-owned enterprises. The case described below is one of many examples. PPHU HERBAPOL spółka z ograniczoną odpowiedzialnością requested the Polish Patent Office to invalidate the word-figurative trade mark Herbapol Wrocław R-179901 that was registered for Wrocławskie Zakłady Zielarskie HERBAPOL Spółka Akcyjna for goods in Classes 3, 5, 30, 31 and 32. PPHU HERBAPOL argued that the questioned registration was applied for in bad faith and this sign is similar or identical to registration owned by PPHU HERBAPOL such as the word trade mark HERBAPOL R-00312 or the word-figurative trade mark HERBAPOL R-00356. PPHU HERBAPOL stressed that the goods are identical, are intended for the same consumers, on the same territory. The Company argued that according to the provisions of the Polish Industrial Property Law and regulations governing the use of Herbapol collective trade marks, the right to use this sign should be entitled only to PPHU HERBAPOL, and all affiliated entities, which also include HERBAPOL S.A., and the registration of an individual trade mark identical or similar to a collective trade mark Herbapol may only be made for the benefit of the PPHU HERBAPOL. Therefore, HERBAPOL S.A. obtained the right of protection “illegally”. It was emphasized that the right for the protection of the collective trade mark does not grant exclusivity to use the sign to one entity, because it is reserved for the organization with the right to its use by the organization and all of its affiliated entities. HERBAPOL S.A. is both a shareholder of PPHU HERBAPOL and the entity authorized to use the collective trade mark. Therefore, HERBAPOL S.A. was fully aware that its trade mark application was made without the knowledge and consent of PPHU HERBAPOL, which infringed PPHU HERBAPOL’s right of protection for the collective trade marks. HERBAPOL S.A. requested the PPO to dismiss the case. The Company presented a genealogy of the transformation of the state owned company that was originally the sole owner of the Herbapol trade mark, and argued that PPHU HERBAPOL derives its priority to Herbapol sign “secondarily”. In this context, and bearing in mind that PPHU HERBAPOL does use the sign and not produce any goods under the name Herbapol, PPHU HERBAPOL is not the legal successor of the state enterprise. Consequently, HERBAPOL S.A. argued that PPHU HERBAPOL lacks of legal interest in seeking the invalidation of the disputed right of protection, and PPHU HERBAPOL did not object to the use of questioned sign in five years. The Polish Patent Office invalidated the right of protection. 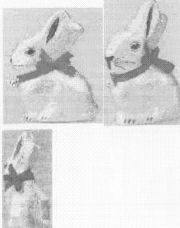 The PPO decided inter alia that compared signs are similar in all three aspects, and the goods are identical or similar. HERBAPOL S.A. filed a complaint against this decision and argued that currently, between all companies included in PPHU HERBAPOL, there are no capital ties, on the contrary, they are in the classic competitive relationship, therefore as of the 1993/1994 they all began to use geographical designation like Wrocław, Poznań or Lublin alongside the sign Herbapol. Since then, HERBAPOL S.A. incurred large spending on advertising of its products thus the recipients of its products were able to distinguish the mark from other manufacturers that used the sign Herbapol. For these reasons, the HERBAPOL S.A. believed that its designation obtained independent and individual market position. HERBAPOL S.A. also argued that it has acquried the right to use Herbapol sign before PPHU HERBAPOL, because since 1959, it has used the word Herbapol in the company name. The state owned company Zjednoczenie Przemysłu Zielarskiego “Herbapol” in Warsaw applied for the right of protection for Herbapol trade mark in 1974, however in 1982 the company was dissolved and in its place another entity was created. Therefore, the right of protection has expired in 1984. 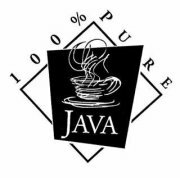 PPHU HERBAPOL was founded in 1989 and in the same year the Company requested the Polish Patent Office to change the owner of all Herbapol trade marks in the Register kept by the PPO. From the foregoing, HERBAPOL S.A. brought the conclusion that the right to Herbapol sign should not derived by PPHU HERBAPOL from the “material priority”, but its right has kind of secondary nature. The Voivodeship Administrative Court in Warsaw in its judgment of 14 June 2014 case file VI SA/Wa 101/13 dimissed the complaint and ruled that because this case involved a collective trade mark, the Court had to indicate the nature of this type of sign. The main conclusion is that the right to collective trade mark belongs to the organization, but the organization’s affiliated entities are entitled to use the sign. The VAC cited recent judgment of the Supreme Administrative Court of 27 June 2007 case file II GSK 83/07 in which the SAC held that a collective trade mark serves many entities, although the right of protection is granted for a specific organization. The right to a trade and the right to use it separated. This institution should be distinguished from the joint right of protection, which is related to an individual trade mark, where such sign is intended for concurrent use by several undertakings who have jointly applied for the protection. In other words, the right of protection for a collective trademark does not grant exclusive rights to the use the sign by a single entity, but it’s owned by one organization, and it can be used by many entities associated in this organization. However, only the organization may be awarded the right, sell it, waive this right or request a change in the Register. Therefore, HERBAPOL S.A. infringed on registrations owned by PPHU HERBAPOL. With regard to the argument that PPHU HERBAPOL was not genuinely using the Herbapol collective trade mark, the Court noted that the organization may independently use the collective trade mark, however, the use of such sign only by entities affiliated also fulfills the conditions of trade mark use. HERBAPOL S.A. filed a cassation complaint. The Supreme Administrative Court in its judgment of 9 January 2015 case file II GSK 2062/13 dismissed it. Categories: Art. 129(2)(ii) IPL | Art. 131(2)(i) IPL | Art. 132(2)(ii) IPL | bad faith | Polish Act on Industrial Property Law | Polish courts | Polish institutions | Polish law | Polish Patent Office | Polish Supreme Administrative Court | similarity of goods | similarity of services | similarity of signs | trade mark co-ownership | trade mark invalidation | trademark law | Voivodeship Administrative Court. 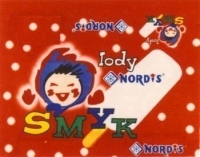 On 1 February 2007, SMYK GLOBAL ASSETS GmbH filed before the Polish Patent Office an opposition against the grant of the right of protection for the word-figurative trade mark lody SMYK NORDiS R-174465 that was registered for the Polish company NORDIS Chłodnie Polskie Sp. z o.o. SMYK GLOBAL ASSETS, the owner of the word-figurative trade mark SMYK R-151707 registered inter alia for goods in Class 30 such as confectionery and sweets, argued that both signs are similar and may cause consumers’ confusion. The questioned registration was also an attempt to use the trade mark that was known on the market for more than twenty years, and which has won the recognition of customers thanks to significant financial and organizational expenditures. SMYK also alleged violation of the right to the company name. NORDIS argued that the compared signs and the goods are not similar and there is no chance for confusion of potential buyers. The Polish company had applied for this sign in May 2003, because it should serve as a continuation of the word-figurative trade marks SMYK NORDIS NORDIS R-93343 and SMYK R-93586 that both lapsed on July 2003. NORDIS had the right to use all signs with the word elements SMYK and NORDIS, because both lapsed trade marks became the bar for registrations of new similar or identical signs for other entities, for two years after the lapse. 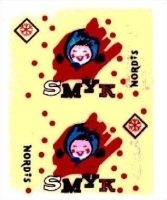 SMYK GLOBAL ASSETS replied that the provisions of the Polish Industrial Property Law do not afford the institution of “continuation” of trade marks, and the modified sign does not derive legal force from the earlier marks, and the owner cannot be entitled to rely on the law that no longer exists. In 2008, the PPO dismissed the opposition. SMYK GLOBAL ASSETS decided to file a complaint, and the Voivodeship Administrative Court in its judgment of 20 May 2009 case file VI SA/Wa 2315/08 overturned the decision, and ruled that the PPO has made an invalid interpretation of the provisions of the Polish Industrial Property Law on the similarity of signs and the goods with regard to the likelihood of confusion. The Court found that the semantic analysis lead to the logical conclusion that the concept of the term “ice cream” falls within the term of “sweets”, and hence there exist homogeneity of goods bearing compared signs due to the fact that ice cream are goods of “the same kind” as sweets. The homogeneity of goods follows from the semantic analysis of the concepts and the nature of the goods such as “ice cream” (narrower term) and “sweets” (broader term). The VAC also noted that the word element SMYK that is present in both signs, is also endowed with a similar graphics. The case went back to the PPO for further reconsideration. On 3 August 2009, NORDIS Chłodnie Polskie Sp. z o.o. requested the Polish Patent Office to decide on the lapse of the right of protection for the word-figurative trade mark SMYK R-151707 in part for goods in Class 30, becuse SMYK GLOBAL ASSETS failed to put this sign in genuine use on the Polish territory. SMYK argued that its trade mark was present on the market among others on candies available in SMYK’s stores that are located in big malls. On December 2009, the Polish Patent Office decided that the right of protection for the word-figurative trade mark SMYK R-151707 lapsed as of 18 December 2008 in part for goods in Class 30 such as confectionery except chocolate and chocolate products, and candy except chocolate and chocolate products. The PPO also dismissed the opposition against the grant of the right of protection for the word-figurative trade mark lody SMYK NORDiS R-174465. SMYK GLOBAL ASSETS filed a complaint against this decision. The Voivodeship Administrative Court in its judgment of 20 November 2012 case file VI SA/Wa 397/12 dismissed it. The Court ruled that there was no violation of the company name, because at the time the disputed trade mark was applied, there was no conflict of interest between both parties, because the scope of activities of the two companies was different. 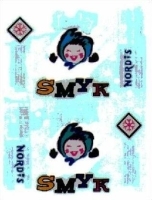 SMYK GLOBAL ASSETS has not shown that the registration will disrupt the function of the name of its company, NORDIS manufactures ice cream, while SMYK GLOBAL ASSETS is a producer of items for children, including toys and clothes and was never engaged in the production or sale of ice cream, moreover, the proceedings revealed that NORDIS does not use the sign in a possible colliding area. The Court agreed with the PPO that the trade mark was not applied contrary to law, public order or morality, because this provision, as it was aptly pointed by the PPO, refers to the content or form of how the applied sign is represented. Such contradiction lies in the violation of moral norms, ethics and customs adopted in business. It occurs primarily in the signs of vulgar or offensive content or form. The VAC noted that SMYK might have confused this regulation it with another institution i.e. bad faith. Legal provisions relating to signs applied in bad faith and signs which are contrary to public policy or morality that are included in the Polish Industrial Property Law are separate premises examined in the trade mark application or invalidation proceedings. The Court emphasized that the first condition is associated with the behavior of the applicant, and the second with the sign. SMYK GLOBAL ASSETS filed a cassation complaint. The Supreme Administrative Court in its judgment of 13 May 2014 case file II GSK 582/13 dismissed it. Categories: Art. 131(1)(i) IPL | Art. 131(1)(ii) IPL | Art. 131(2)(i) IPL | Art. 166 IPL | Art. 169(1)(i) IPL | Art. 169(2) IPL | Art. 169(6) IPL | Art. 246 IPL | Polish Act on Industrial Property Law | Polish courts | Polish institutions | Polish law | Polish Patent Office | Polish Supreme Administrative Court | trade mark lapse | trademark law | Voivodeship Administrative Court. On September 2007, Mr Jarosław Spychała applied to the Polish Patent Office for the right of protection for the word trade mark LEGO-LOGOS Z-330692 for services in Classes 35, 36 and 41. The PPO informed the applicant that his trade mark is similar to series of signs registered and owned by LEGO Juris A/S. Mr Spychała argued that the applied sign is the neologism derived from the ancient Greek language, and the term LEGO simply means “to read, think or speak”, and the term LOGOS means “learning” in a broad sense. In academic and education circles the term LEGO-LOGOS is associated with a particular form of education in philosophy and in building moral attitudes. The mark is directed at people who wish to explore philosophy and knowledge. The Polish Patent Office refused to grant the right of protection because the applied trade mark was similar to the word trade mark LEGO R-72961 that was registered with an earlier priority for almost similar services. Mr Spychała filed a complaint against this decision and argued that the fact that compared signs share the same identical word element is not sufficient to refuse the protection for the later trade mark. The most important was the subject of the applied trade mark – a philosophical concept developed by the applicant and its popularization. The Voivodeship Administrative Court in its judgment of 11 July 2012 case file VI SA/Wa 1201/11 dismissed the complaint. The Court noted that the PPO properly made the comparison of goods and services and did not erred in comparison of both signs. The VAC agreed with the PPO that the word element LEGO can also mean to fold or to assemble, and thus relate to specific products – blocks that are marked by registered trademarks of LEGO Juris A/S. The Court pointed out that the applicant while describing the project of philosophical education under the name LEGO-LOGOS has also showed that he drew the expression of LEGO from Danish language. Regardless of what language (Ancient Greek or Danish) the dominant element LEGO was taken, it is a word that does not exist in the Polish language. Its importance in ancient Greek or Danish is not understandable for the average Polish recipient of goods or services. It may be related to the characteristics of goods – just blocks marked with this sign. Mr Spychała filed a cassation complaint. The Supreme Administrative Court in its judgment of 11 March 2014 case file II GSK 146/13 dismissed it. Categories: Art. 132(2)(ii) IPL | Art. 145 IPL | Art. 148 IPL | Art. 151 PBAC | Art. 7 APC | Art. 77 APC | Art. 8 APC | Art. 80 APC | Polish Act on Industrial Property Law | Polish Act on Proceedings Before Administrative Courts | Polish Administrative Proceedings Code | Polish courts | Polish institutions | Polish law | Polish Patent Office | Polish Supreme Administrative Court | similarity of signs | trade mark examination | trade mark refusal | trademark law | Voivodeship Administrative Court. According to the provisions of Article 7 of the Act on the Protection of Consumer Rights and Liability for Damage Caused by a Dangerous Product – PRCLL – (in Polish: o ochronie niektórych praw konsumentów oraz o odpowiedzialności za szkodę wyrządzoną przez produkt niebezpieczny) of 2 March 2000, published in Journal of Laws (Dziennik Ustaw), No 22, item 271 with subsequent amendments, the consumer who concluded the so-called “distance contract” may withdraw from it without giving reasons, by way of an appropriate written statement, within the period of ten days from the conclusion of the contract. The “distance contract” or contracts concluded at a distance are defined as contracts concluded without simultaneous presence of both parties, in which one party is deemed as a consumer (a natural person not performing any business activities), by way of a use of means of communication at a distance, in particular order form without the address or addressed, serial letter, press advertising with a printed order form, catalogue, telephone, radio, television, automatic calling machine, videophone, videotext, electronic mail, facsimile machine, provided that the party to the contract with the consumer is the entrepreneur who organised in such a way its business activity. The Polish Company Decoratum, owner of endo.pl website that sells children clothes, provided the TOS according to which a consumer willing to withdraw from a purchase, has had to return the purchased goods in order to make the withdrawal legally effective. However, such provisions are inconsistent with the PRCLL. The Act does not require the consumer to perform any additional actions, except filing a written statement (declaration of will to withdraw from a contract). The President of the Office of Competition and Consumer Protection initiated proceedings against Decorum and found that the company did not provided its consumers proper written information that they have the right to return purchased products. The President in its decision of 21 November 2013 no. RKT-38/2013 ordered the Company to pay a fine in the amount of 15.084 PLN. The entrepreneur abandoned the use of the challenged practices so it was possible to decrease the financial penalty. The decision is final. Categories: consumer protection law | e-law issues | e-services | Polish Act on Protection of Competition and Consumers | Polish Act on the Protection of Consumer Rights and Liability for Damage Caused by a Dangerous Product | Polish institutions | Polish law | President of the Office of Competition and Consumer Protection. On August 2008, The Polish Patent Office granted the right of protection for the word-figurative trade mark TEFLEX Q R-211213 for goods in Class 9 such as optical apparatus and instruments, spectacle frames, sunglasses, eyeglasses, articles for the manufacture of spectacles, spectacle cases, chains for spectacles, sports eyeglasses, optical lenses, optical glasses, optical products, and services in Class 44 such as optical services, medical assistance, medical clinics, for the Polish company Krasnodębski i S-ka OPTIBLOK Spółka Jawna. Eschenbach Optik GmbH filed a notice of opposition to the decision of the Patent Office on the grant of a right of protection. The German company argued that the trade mark TEFLEX Q is similar to its CTM t-flex no. 001821651 that was registered for goods in Class 9 such as spectacles and spectacle frames. Moreover, it pointed out that the questioned trade mark has been applied for registration in bad faith, and its registration and use may lead to the infringement of the applicant’s property rights and the unfounded use of the reputation of the t-flex designation. The fact that the registered sign is confusingly similar and resembles t-flex brand for the same narrow class of products was an argument for the bad faith. Such action indicated the intention to use consumers’ knowledge of products bearing t-flex sign. The brand t-flex is a fanciful designation and it was extremely unlikely for the OPTIBLOK to apply for registration of the sign that was very similar. It was merely a coincidence. The German company noted that it conducts its business in more than 80 countries, including Poland. From the beginning, the Company manufactured and sold of glasses and optical devices, and TITANflex technology is one of the most important of its products. The Polish company is a competitor on the local market. The registration and use of the trade mark TEFLEX Q infringes the Community trade mark t-flex and violates the property rights of Eschenbach Optik GmbH. The existence of similar signs can result in negative consequences for clients and lead them to confusion with regard to the origin of goods. The infringement of the reputation of the t-flex sign was based on its dilution. While referring to the similarity of the goods, the German company noted that the services of class 44 are complementary to the goods in Class 9. The Polish company argued that it did not act in bad faith, because before filing the trade mark application, it used services of a patent and trade mark attorney and therefore acted negligently. At the time of registration there was no identical or similar signs to TEFLEX Q mark. Additionally, the brand t-flex does not have distinctive character, because there are tens of thousands of products with the same name in the world. The Polish Patent Office invalidated the right of protection for the trade mark TEFLEX Q R- 211213 because, it found that the characters are very similar. However, PPO did not agree with the argument that the application was made ​in bad faith. According to settled case-law and legal commentators, the mere fact that one party applies for a trade mark similar to a sign used by the other party is not deemed as acting in bad faith. The bad faith must be proved based on other factors than knowledge of market presence of similar brands and signs, such factors include for instance dishonesty in relation to the interests of another entrepreneur. The reputation of the trade mark t-flex was also not proved. The mere statement that the German company had its Polish subsidiary was not sufficient to prove that Eschenbach Optik GmbH was present on the Polish market before the questioned trade mark was applied. The Voivodeship Administrative Court in its judgment of 17 February 2012 case file VI SA/Wa 1885/11 dismissed it and ruled that the PPO referred precisely and in detail to all facts and evidence of the case. OPTIBLOK filed a cassation complaint. The Supreme Administrative Court in its judgment of 8 January 2014 case file II GSK 1542/12 dismissed it. Categories: Art. 132(2)(ii) IPL | bad faith | Polish Act on Industrial Property Law | Polish courts | Polish institutions | Polish law | Polish Patent Office | Polish Supreme Administrative Court | similarity of goods | trade mark invalidation | trademark law | Voivodeship Administrative Court. The German company Aldi Einkauf GmbH & Co. oHG filed before the Polish Patent Office a request to decide on the lapse of the right of protection for the word trade mark ELDENA R-111776 registered for Piotr Maciejec and Robert Hrebowicz for goods in Class 3 such as cosmetics, soaps, perfumery, deodorants, bath lotions. Aldi Einkauf interpreted its legal interest from the provisions of the Polish Constitution and the Polish Act on Freedom of Economic Activity (in Polish: ustawa o swobodzie dzialalnosci gospodarczej), and argued that the owners did not genuinely used their trade mark for 5 years. As the owner of the word CTM ELDENA No. 003430188, Aldi also noted that the owners of the Polish registration opposed the use of Aldi’s sign in Poland. Mr Maciejewiec and Hrebowicz questioned the legal interest of the applicant claiming that the Aldi has not registered its business in Poland. The company Aldi sp. z o.o. 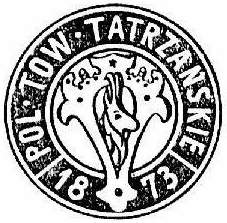 from Chorzów was established and registered in the National Court Register (register of entrepreneurs) on January 2006, and the first stores were opened on 25 February 2008. Therefore, assuming that the company Aldi sp. z o.o. is kind of a representative of the applicant on the Polish territory, the beginning date to establish legal interest of Aldi Einkauf should be the start date of sale of the applicant’s products, as it happened on 25 February 2008. Mr Maciejewiec and Mr Hrebowicz deemed Aldi’s request as premature due to the fact that in the period from 14 January 2005 to 25 February 2008, the disputed right of protection did not restrict the applicant’s activities in Poland, and they decided not to discuss with the arguments on the lack of genuine use, nor to provide any evidence in this matter. Aldi Einkauf argued that it received a cease and desist letter from the owners of the questioned trade mark, and provided evidence that the Polish company Aldi sp. z o.o. is a licensee of the CTM ELDENA. The Polish Patent Office decided on the lapse of the right of protection. The PPO ruled that Aldi Einkauf proved its legal interest to request for the lapse of the right of protection for the mark at issue, because this sign was a restriction on conduct of Aldis’s business, in which the Company intended to use the designation ELDENA. Aldi submitted the advertising prospect of Aldi’s stores in Poland from 2008, with the photos of a lotion and soaps marked with ELDENA sign, as the evidence of an intention to use the CTM No. 003430188 on the Polish market. The PPO ruled that Mr Maciejewiec and Mr Hrebowicz did not provide any evidence on genuine use of their trade mark. They decided to file a complaint against this decision. The Voivodeship Administrative Court in its judgment of 17 April 2012 case file VI SA/Wa 201/12 dismissed it. The Court ruled that the “collision” of two trade mark rights was sufficient to establish the existence of a legal interest to file a request for the lapse of the right of protection. In its essence, the legal interest (locus standi) lies in overlapping of legal spheres of two or more entities, in such a way that the right held by one entity interferes with the full enjoyment of the rights held by another entity. The Supreme Administrative Court in its judgment of 8 January 2014 case file II GSK 1500/12 dismissed the cassation complaint filed by Mr Maciejewiec and Mr Hrebowicz. Categories: Art. 120(1) IPL | Art. 153 IPL | Art. 169(1)(i) IPL | Art. 256 IPL | genuine use | Polish Act on Industrial Property Law | Polish courts | Polish institutions | Polish Patent Office | Polish Supreme Administrative Court | trade mark lapse | trade mark use | trademark law | Voivodeship Administrative Court. The concept of “average consumer” is present in intellectual property law and the law of unfair competition from a long time. Since the Dassonville case (C-8/74), the concept of the average consumer has been developed in the case law of the Court of Justice of the European Union, and appeared in the preamble to Directive 2005/29 on unfair commercial practices. According to the Polish Act of 23 August 2007 on combating unfair commercial practices, the average consumer is understood as a consumer who is adequately informed, attentive and careful. The assessment should be made with account taken of social, cultural, linguistic factors and the belonging of the particular consumer to a specific consumer group, which should be understood as a consumer group that can be unambiguously identified and is particularly receptive to the influence of a commercial practice or the product to which the commercial practice applies, due to its specific characteristics, such as age, physical or mental disability. However, it looks like some Polish courts do not think that an average Polish consumer fits the established rules and standards. The Appeallate Court in Warsaw in its judgment of 13 January 2013 case file VI ACa 1069/12 held that the average Pole, which is also the average consumer, mainly due to social and cultural backgrounds, has a low legal awareness. This is the view shared by the Polish legal community. The standard of an average Polish consumer cannot in any way related to the standard of the average consumer in Western Europe, which for many decades is subjected to intensive consumer education. Categories: advertising law | comparative advertising | consumer protection law | EU law | Judgments of Court of Justice of the EC | Polish Act on Combating Unfair Commercial Practices | Polish Appeallate Court | Polish courts | Polish institutions | Polish law | President of the Office of Competition and Consumer Protection. Bayerischer Brauerbund e.V. from Germany requested the Polish Patent Office to invalidate the right of protection for the international word-figurative trade mark BAVARIA IR-1051133 registered goods in Class 32 such as beer and non-alcoholic beverages for the Bavaria N.V. from the Netherlands. Bayerischer Brauerbund e.V. claimed infringement of the right to a geographical indication, and noted that the questioned trade mark is misleading, and it was applied in bad faith. However, the PPO has not had the opportunity to comment substantively on the matter, because during the hearings, Bavaria N.V. waived its right. In these circumstances, the Adjudicative Board of the PPO in its decison of 22 January 2013 case no. Sp. 407/12 discontinued the proceedings as irrelevant. Categories: Art. 131(1)(iii) IPL | Art. 131(2)(i) IPL | Art. 132(1)(i) IPL | geographical indications | geographical name as trade mark | Polish Act on Industrial Property Law | Polish Patent Office | trade mark invalidation. The Inspector General for Personal Data Protection in its decisions of 1 April 2012 nos. DOLiS/DEC-318/12/23575, 23580, 23585 ordered a Polish company to disclose IP addresses of computers. This information was required in other proceedings. The company filed a complaint against this decision and requested the court to stay its execution. The Voivodeship Administrative Court in Warsaw in its order of 14 August 2012 case file agreed and GIODO filed a complaint against it. The Supreme Administrative Court in its order of 21 November 2012 case file I OZ 850/12 dismissed it. Categories: computer crime | computer law | e-documents | e-evidences | e-law issues | Inspector General for Personal Data Protection | ISP liability | legal regulations on computer networks | personal data | Polish Act on Protection of Personal Data | Polish courts | Polish institutions | Polish law | Polish Supreme Administrative Court | Voivodeship Administrative Court.